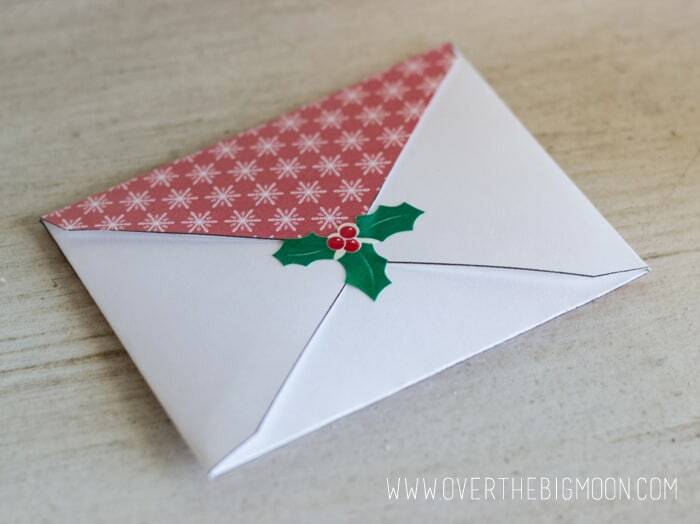 A fun printable to help bring more joy during the Elf season! 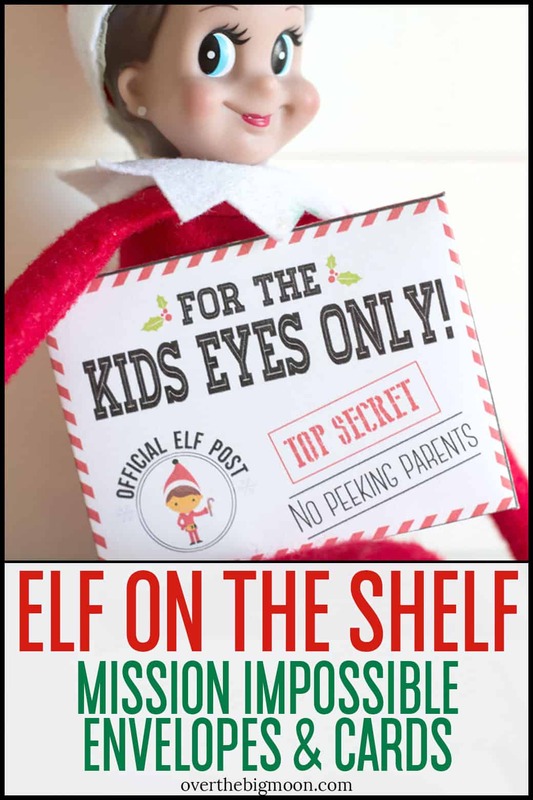 These Elf on the Shelf Mission Impossible Envelopes and Cards are super fun and a great way to help encourage service during the Holidays! We are so excited to share these cards with you today. 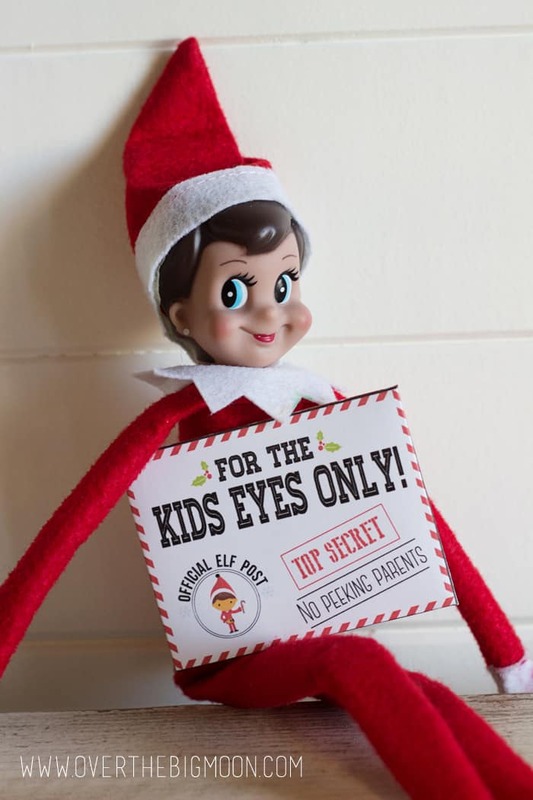 They are secret missions for your kids from their Elf. 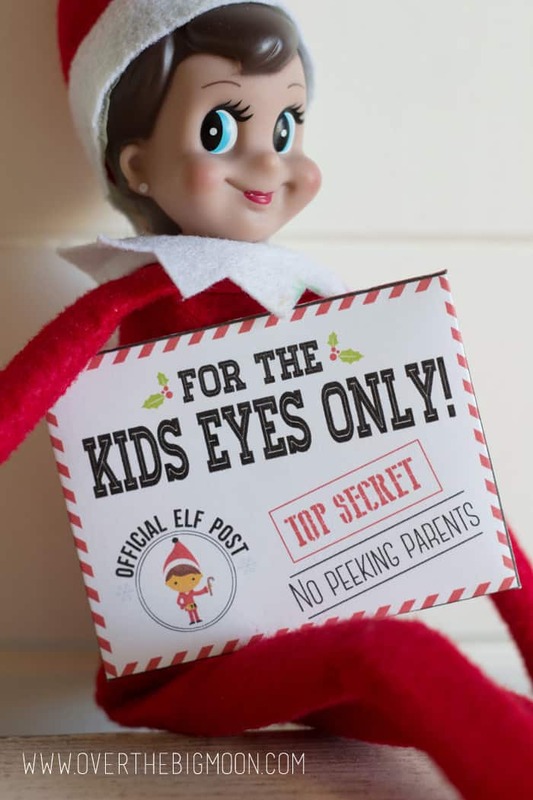 No Peeking Parents! You can also download the Mission Impossible cards that fit right into the envelopes. We have both completed cards and blank cards, so you can create your own missions or use our 9 missions cards that are all ready for you. Enjoy! They are for personal use only only. You many not sell or distribute these in any way. 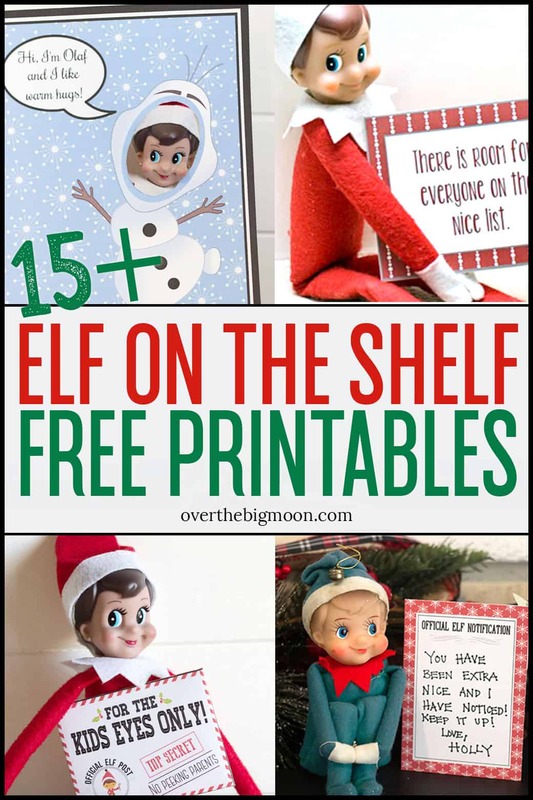 Don’t forget to check out more fun printables and Elf on the Shelf Printables & Ideas HERE! Are you ready to take the hassle and worry out of your Christmas Elf this season while still giving your kids the most amazing experience? The Ultimate Christmas Elf Book of ideas has 25+ printables and ideas available in one simple download! After you complete the purchase process, you will be redirected back here to Over the Big Moon, where a download link will be provided. You will also receive an email confirmation that contains a download link. Want more information on our Elf ebook? Click HERE! Be sure to check out all of our other Elf on the Shelf ideas! Thank you for sharing these adorable cards! I am having trouble opening them. After the zip downloads, my computer doesn’t seem to know what to use to open them. Any advice? You may need to download a unzip program. Then when you double click on the downloaded zip file it will extract the PDF’s. Hope that helps! Merry Christmas! I had a thought, could you make the cards without any writing on them so we can write things on them? For example my kids keep asking him questions and would like to answer them on the same stationary. The download only includes the envelopes. Is there another link for the card template? Have a question for you. I paid for the download last December. I didn’t get around to saving it to my desktop. And when I went back to try downloading it on my PayPal invoice, it’s invalid. Can you please email me to help? Hey Stephanie! I found your order using your email and I just had it resend the confirmation email with the download link! Email me at pam(@)overthebigmoon.com if you need further help! Thanks so much! What a fun idea, I love it!!! Great job! My elf brought mission cards this morning. They were a big hit!